Learning a few secrets of food styling from Rebekah Peppler. Check out her website for her beyond gorgeous food photos. 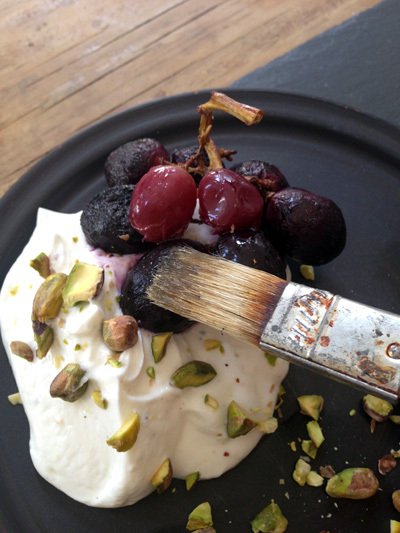 Above, brushing olive oil onto roasted grapes with cardamom-honey yogurt and pistachios. Take a peek at the latest schedule at Haven's Kitchen for food-related classes like this one or the edible gifts class I posted about over the holidays. Or just stop by their cafe for a delicious lunch. This is easily my current favorite place in NYC!